In 2016, Diversity Inclusion moved into Intersect Co-working. Now almost a year on, it’s time to reflect; have there been benefits? What about challenges? In our blog published last year, we highlighted what we hoped to get out of our new co-working space: the opportunity to meet new people in our workspace every day, to collaborate with many different people with a range of skills and experiences, to broaden our networks, and raise awareness of the work we do. We also wanted to experience co-working first-hand, given that we advise organisations on new ways of working, such as flexible working and activity-based working (visit the ‘Future Work’ page on our website for more information on our work in this space: http://diversityinclusion.com.au/future-work/). We also introduced the concept of workplace ‘collisions’: the chance encounters and incidental social interactions you have with others at work. The idea of a co-working space is to encourage collisions between individuals from different companies, and with different areas of expertise. According to Bill Allert, Communications Manager at Intersect Co-working, “people who get a taste of co-working never go back. 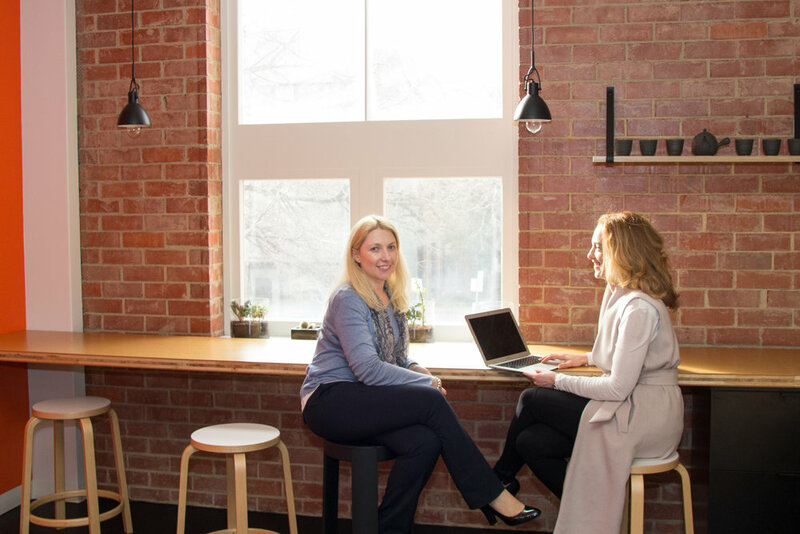 There’s just something about being surrounded by people, even if you’re working on your own, that generates energy, opportunity and a sense of being part of something greater.” This year, Intersect was a finalist for the Best Co-working space in Adelaide (www.intersect.com.au). With a number of psychologists in the Diversity Inclusion team, of course we sought to study our own behaviours and level of satisfaction prior to moving into a co-working space, and after having spent six months in the space. The most notable benefits we identified were: more opportunities to meet and interact with new people, a more diverse range of facilities, greater satisfaction with our work space and a better wireless network. We’ve experienced some tangible benefits, including partnering with United Focus, a digital consulting business (www.unitedfocus.com.au), on a number of tenders, and opportunities to raise the profile of the business, for example presenting at the Australian Information Industry Association’s South Australian iAwards, and delivering a workshop to senior leaders in SA government. The number of workplace collisions significantly increased after our shift to co-working, along with the number of people we felt could assist us to solve a problem. Other members often introduce us to their contacts, and we do the same for them. As a result of our move, employees feel less isolated, and report that our new environment inspires their creativity, enables collaboration with others beyond our immediate team, and makes them feel they belong to a work community beyond our organisation. Overall our shift to co-working has been a positive experience, but we would love to hear about your experiences and challenges, and answer any questions you have regarding co-working, working flexibly, or activity-based working, so leave us a comment.